The 3-dimensional Stiga Table Rod Hockey Players are made of durable injection molded plastic and have metal hockey sticks. Officially licensed by the NHL. 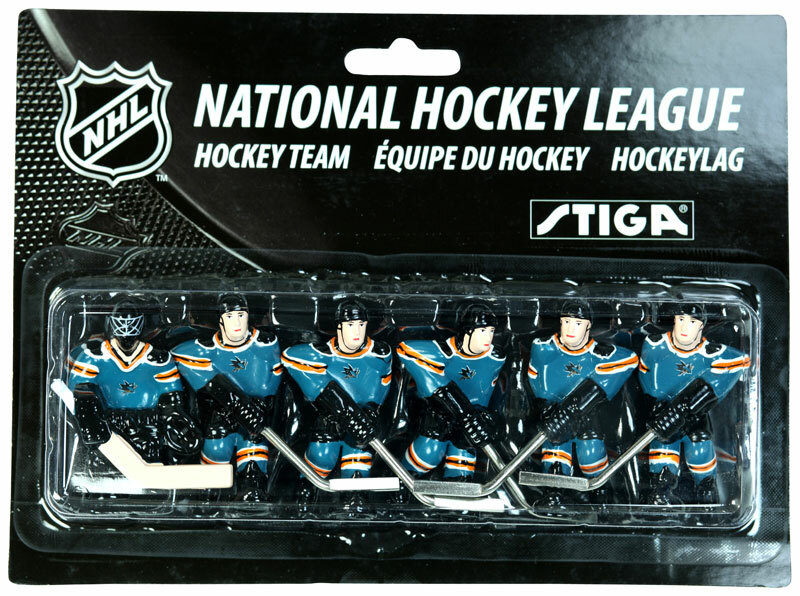 Each pack includes 6 hand painted hockey players in your favorite team’s uniform. 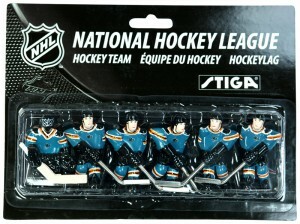 These players will fit any Stiga Table Hockey Game. 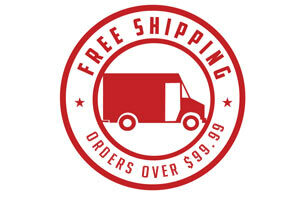 Please note that Stiga players only fit Stiga games. They will not fit any other manufacturer’s hockey games.